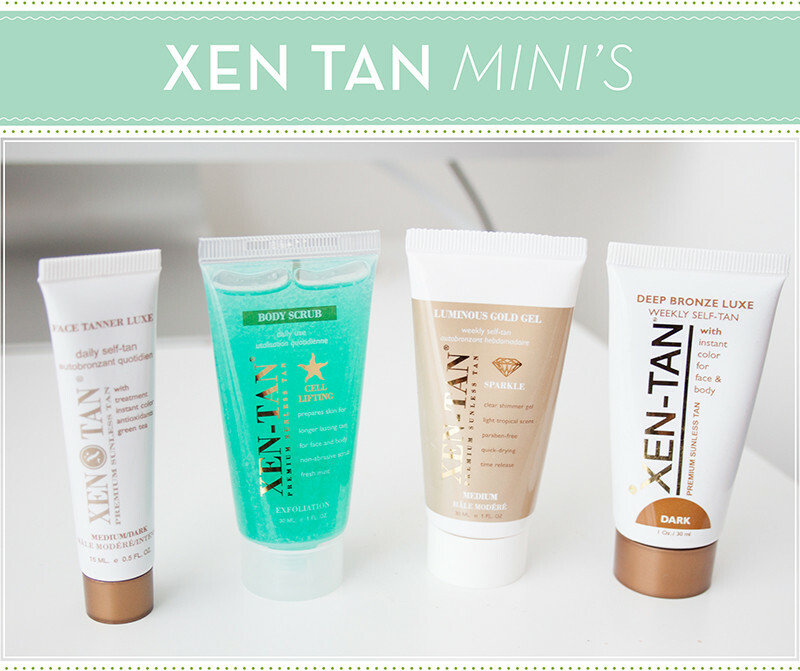 I've been a big Xen Tan fan for a hell of a long time and I was recently sent some of their most popular products in mini form. They have a range called "Try before you buy" in which you can sample some of Xen Tan's best selling products in a smaller size and a much more purse friendly price. The Xen Tan mini's contain enough for a full application on the body, Although I think the facial tanner and the body scrub would last a lot longer. While I do like Xen Tan and wholeheartedly recommend the brand, as it's a premium tanning brand it is on the expensive side. Especially if you don't like it. All the mini's are well priced and perfect to test out before committing to a full size. These would be great for travelling or a overnight stay if you need to tan up quickly. I really think Xen Tan is on a great idea with these, the high price could put you off as it would be and expensive mistake if you didn't like it. I've used the Body Scrub for as long as I can remember (amazing for daily exfoliation, not too harsh and smells awesome!) and Deep Bronze Luxe (see my full review here) is possibly one of my favourite tanners of all time. I've used the Facial Tan before as well a few years ago and I was pleasantly surprised as most facial tanners break out my uber sensitive skin. I've not tried the Luminous Bronze Gel but it's slightly shimmery with a light scent. I shall report back!